Why the Page title is not updating? When I duplicate a form and rename, the form name in the browser tab stays as the original form name that was duplicated. How can I fix this? 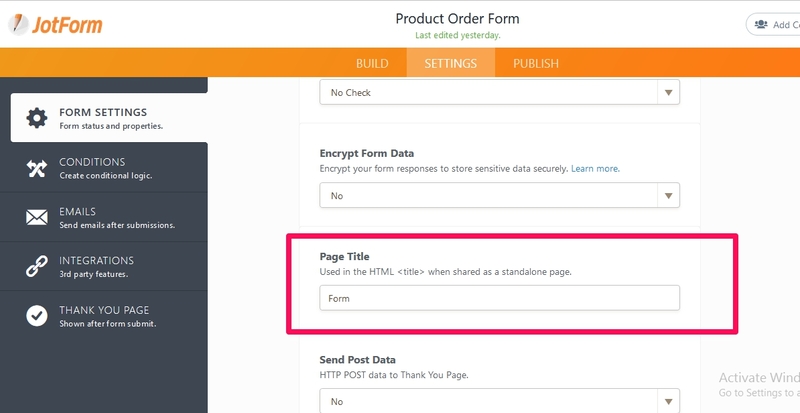 You can update the page title from your form settings. Go to Settings->Form Settings->Show More Options. Scroll down to the option called "Page Title" and change it.